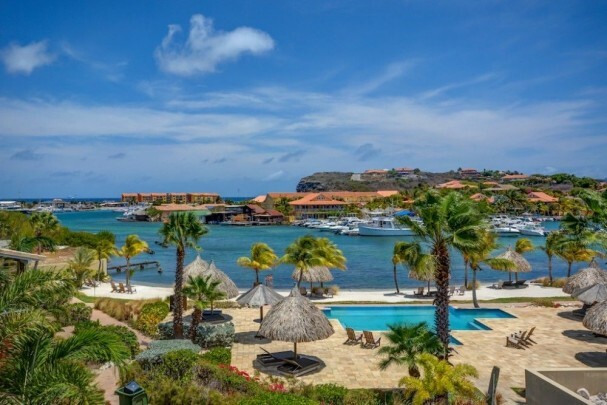 On a small luxury resort with a perfect waterfront location in Curacao we proudly offer 2 apartments for sale, each offering beautiful views on the private beach, swimming pool and Spanish Water Bay. 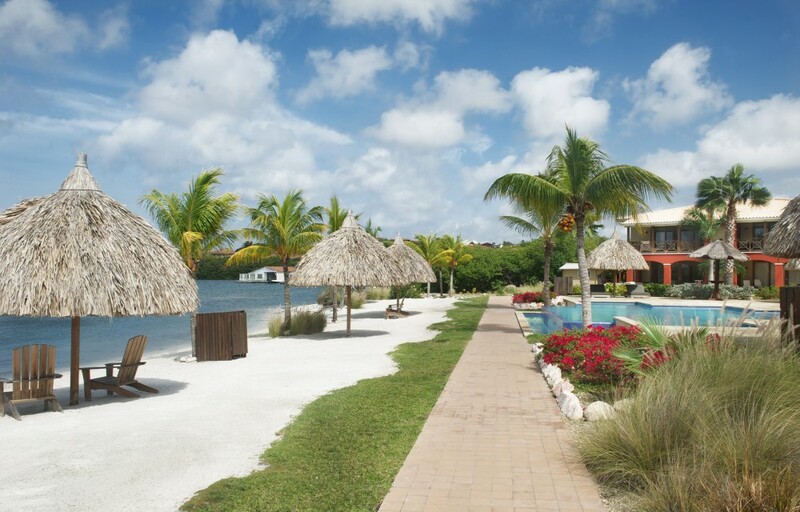 These apartments are great for vacation rentals and part of a rental pool. Worry free investment! s is a wonderful, small but luxurious resort located as the Spanish Water Lagoon, consisting of 32 apartments. 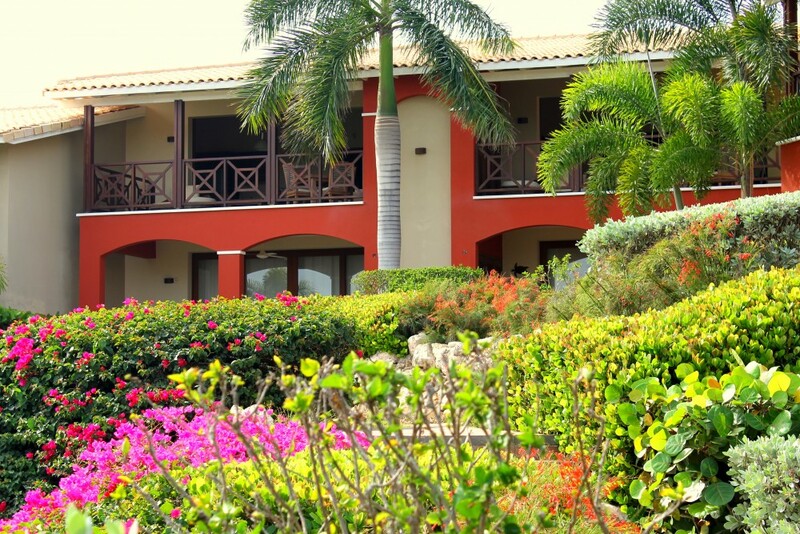 The tropical garden, the lovely swimming pools, the ample parking and the wonderful private beach are all in perfect condition and provide you with a welcome and luxurious feeling as soon as you enter this guarded resort. Located in Building B, second floor we offer you the apartments B7 and B8. 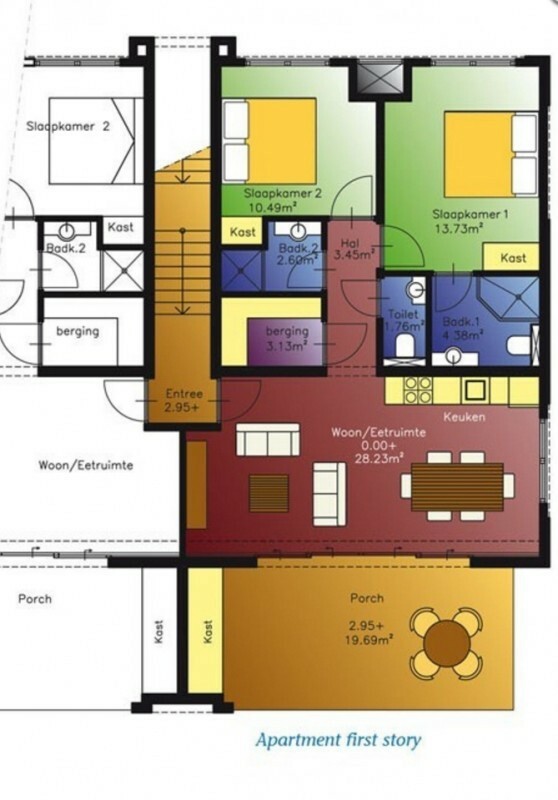 These apartments share one staircase and have a connecting door in the living room. The large sliding doors, located at one side of the spacious and bright living room, lead to the covered balcony. The indoor living and outdoor living area seamlessly pass into each other. The modern open kitchen is equipped with all kinds of appliances like a built-in dishwasher, combi oven and griddle. The living has a gorgeous light colored tiled floor, high ceiling and is tastefully furnished with dining room table, couch and outdoor furniture. 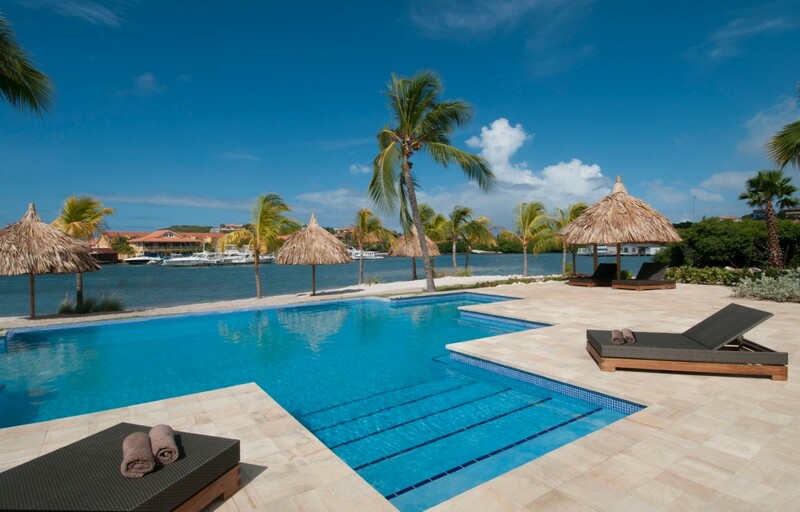 The amazing view over the Spanish Water Lagoon and the private beach right in front of the apartment is jaw dropping! 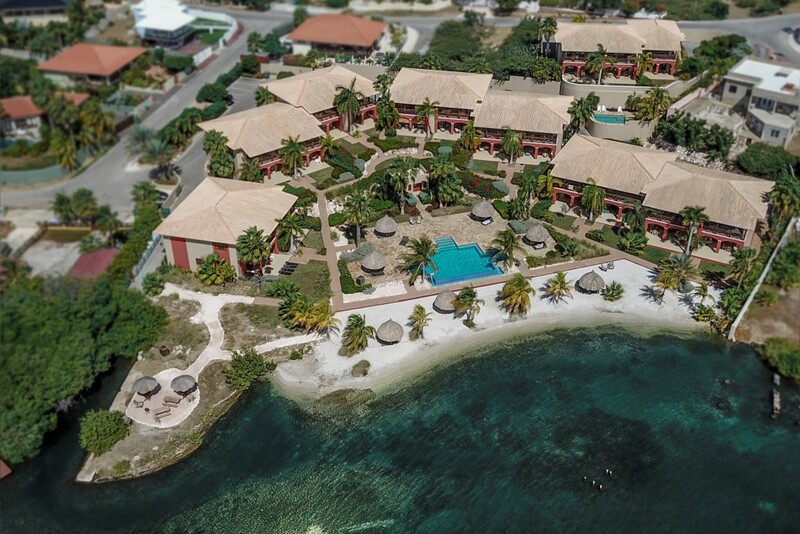 The 5 separate apartment buildings are arranged in a way to guarantee privacy and maintain the truly one million dollar views over the water and surrounding area. 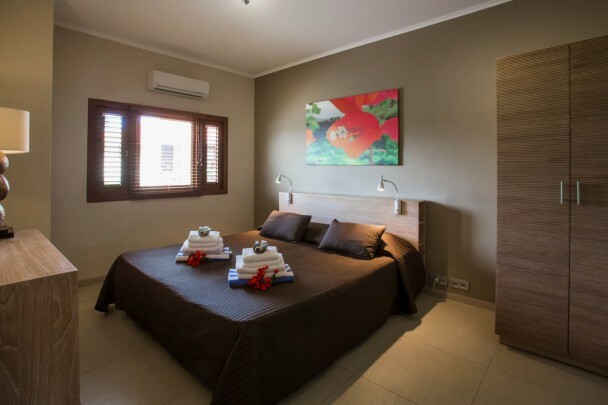 The spacious bedrooms each with private bathroom are located in the back of the apartment. 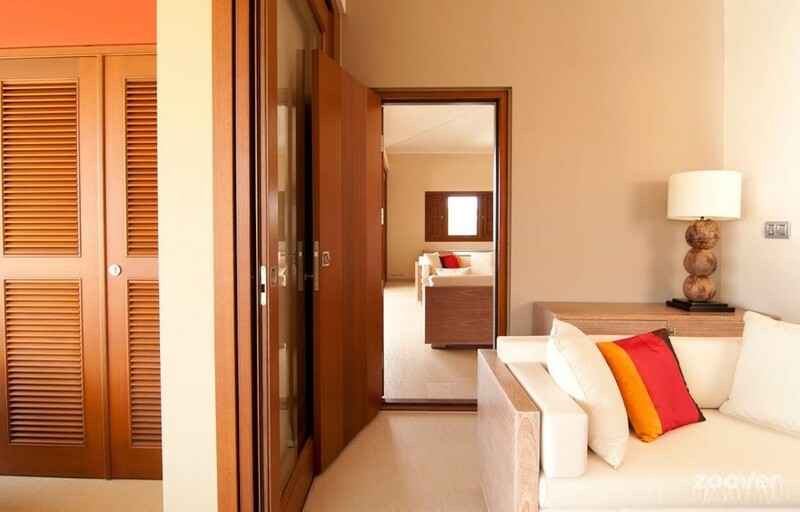 A double bed is placed in the master bedroom as well a large wardrobe. En suite a lovely modern bathroom. 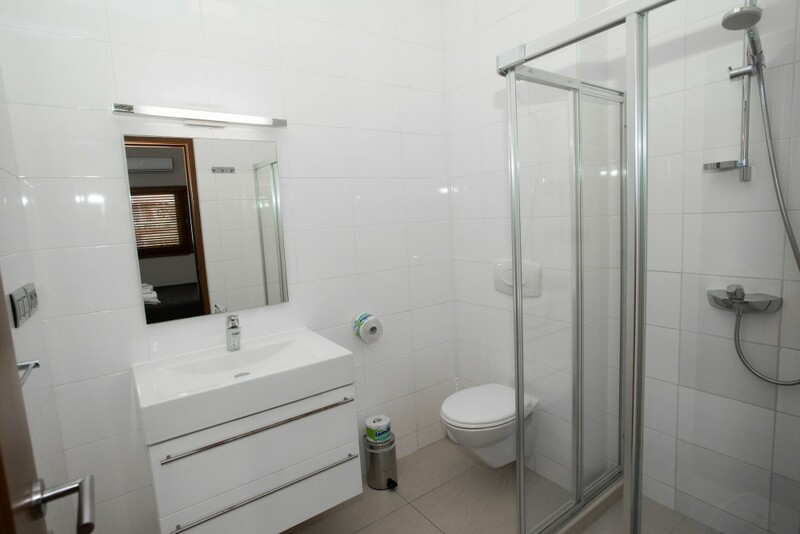 Next to the second bedroom you will find the second bathroom and separately a guest toilet. A large storage with a washing machine and dryer completes the picture. 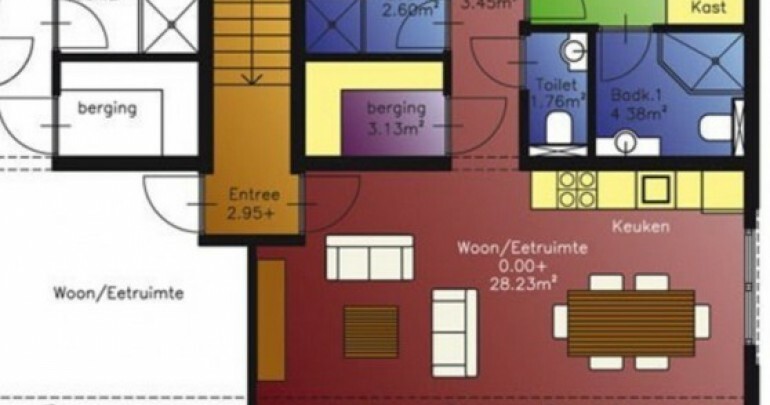 There is a connecting door in the living room between the apartments B7 and B8. Open or lock for shared use whenever you like. Asking price per apartment amounts to USD 375,000. This includes the complete furniture, decoration and appliances. 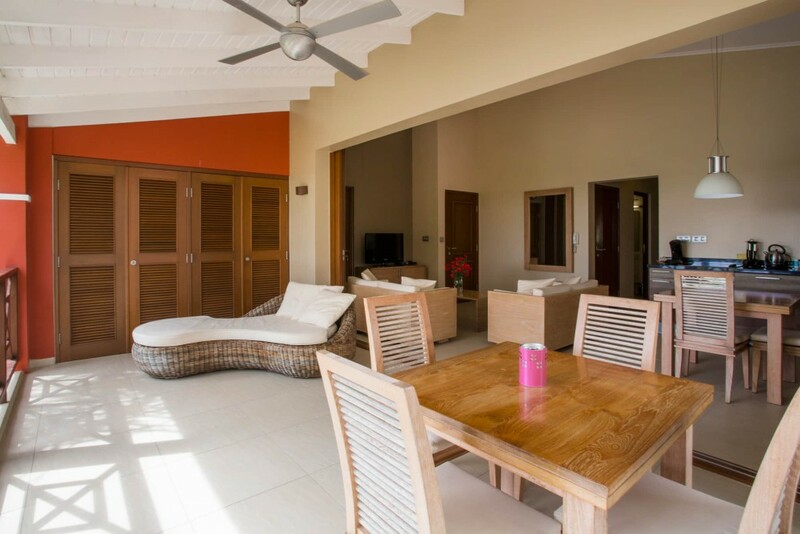 You only have to bring your personal belongings, just move in and start relaxing and enjoying the Caribbean lifestyle in luxury. The apartment owners who are part of the rental pool called 'Spanish Water Apartments' have a reception building just outside the resort. 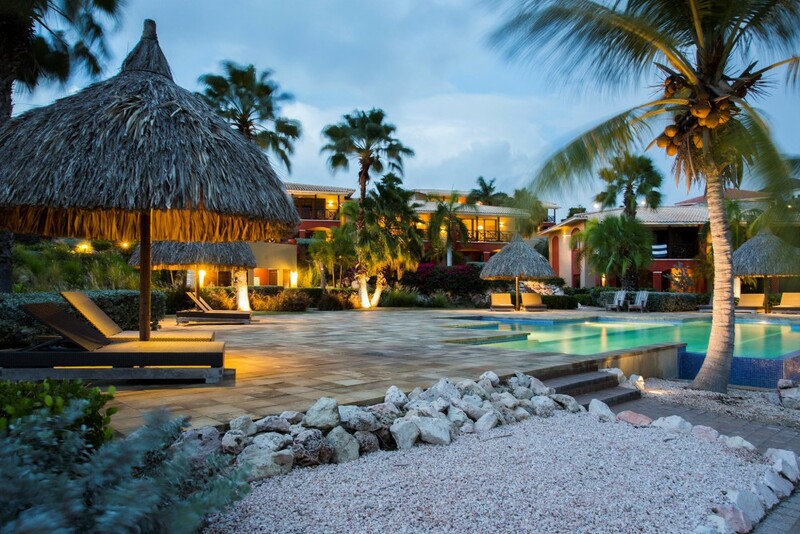 The rental pool also takes care of maintenance of the interior, cleaning after guests leave, check-in and -out, and owners receive the same service when they use their own apartment. Sot it is a carefree investment! 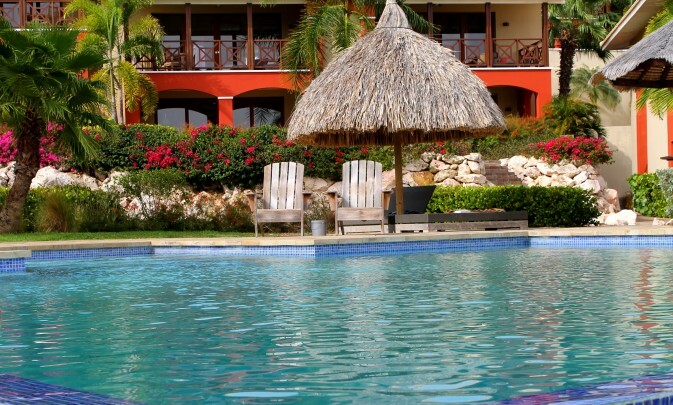 The rental pool also has a great website for rentals. The resort is also known as La Maya Beach. 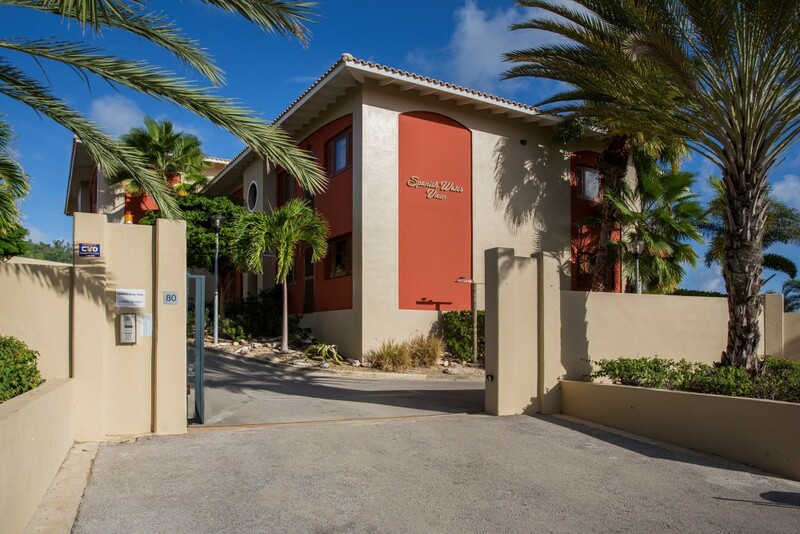 Would you like to receive any further information or would you like to view the apartments? Do not hesitate and contact Hans Vervoord. 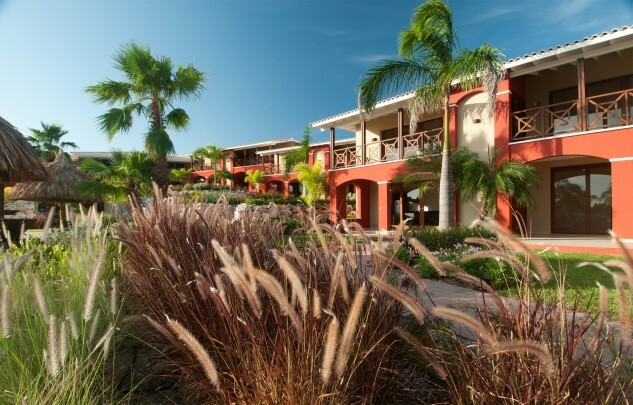 Jan Thiel is well known for its location: adjacent to the Caribbean Sea and the Spanish Water Lagoon. Over the past 10 years, this neighborhood has been developed towards a coveted tourist destination, various new hotels and resorts have been opened. Also, new communities have been created, like Vista Royal, Masbango Beach Resort, Residencia Tropicana, Damasco Resort and Marbella Resort, providing many persons and families a new place to call home or to wind down during vacation time. 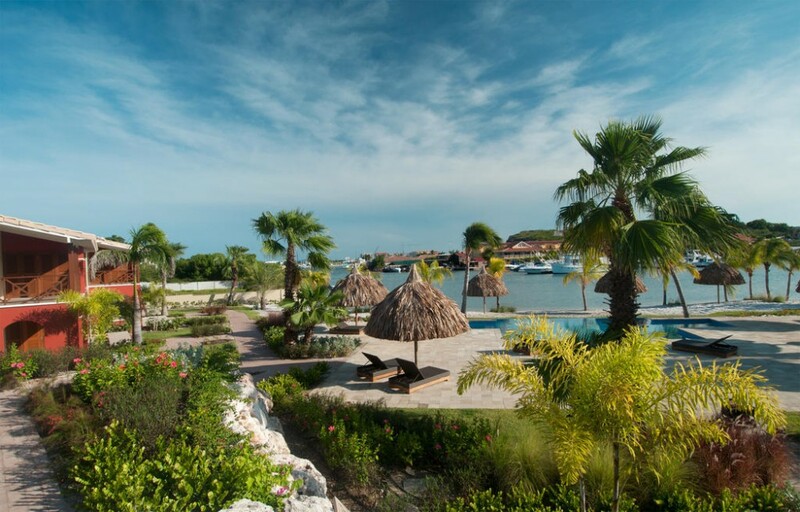 Many homes and lots in Jan Thiel offer breathtaking views, overlooking the Caribbean Sea, the Spanish Water and/or the salinas. Jan Thiel offers its residents and visitors many amenities, amongst others the public Caracasbaai Beach, the private beach clubs Zanzibar and Papagayo, a health club, a supermarket, various restaurants and nightlife destinations. Water sports will love the area, it hosts various marinas, one can rent various motorized and non-motorized vessels, and classes in ie windsurfing and wakeboarding are offered. Depending on your location in Jan Thiel, a drive towards downtown Willemstad will take you 10-20 minutes.